the sweetest thing...: FOUR Days Until the MFT December Release! FOUR Days Until the MFT December Release! Hello! It's time for the My Favorite Things December Release Countdown and we have a FULL week of fantastic new stamps and Die-namics to show you. AND we have some fun prizes for you too, so be sure to hop on over to the MFT Blog to see how you can win some MFT goodies this week. All of these new products will be available for purchase on December 10th @ 10 PM Eastern. Tonight I have a card for you using Get Well Wishes. 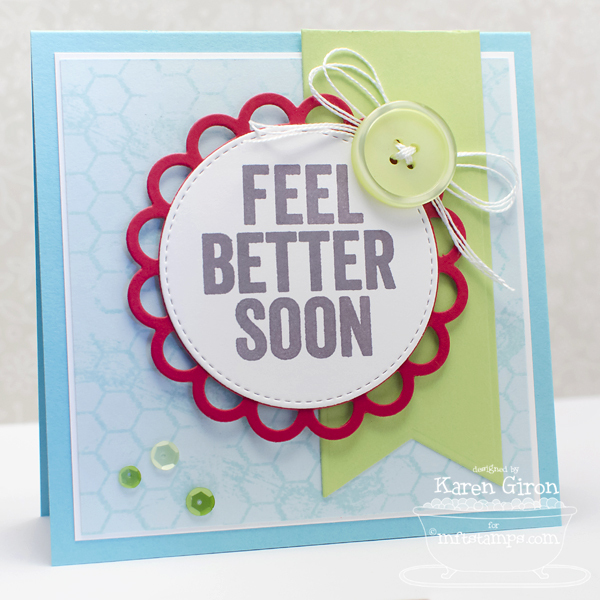 I split up the FEEL BETTER stamp by inking one word at a time in Steel Grey Ink and then added the SOON underneath so that the sentiment fit nicely on the Stitched Circle STAX Die-namics die cut. I used MPD Distressed Backgrounds for the background stamping in Sno Cone Ink and then popped the sentiment up over the top with a Open Scallop Doily Duo Die-namics. A big Sour Apple Button is a great accent at the top and then I added a few sequins on the bottom to balance it out. The color scheme is CQC218 from ColourQ and the sketch is RS#92 from RetroSketches. Be sure to stop by the MFT Blog for a complete list of designers playing along in today's Teaser AND find out how you can win some MFT goodies! Here are the MFT products I used today - all of the new products will be available for purchase on December 10th at 10 PM Eastern. This is sure to make anyone feel better!! Such a happy card! What a darling card!! :Love the green button!! Very soothing colors with just a little pop of red to get me going -- I feel better already! What a cheery card. 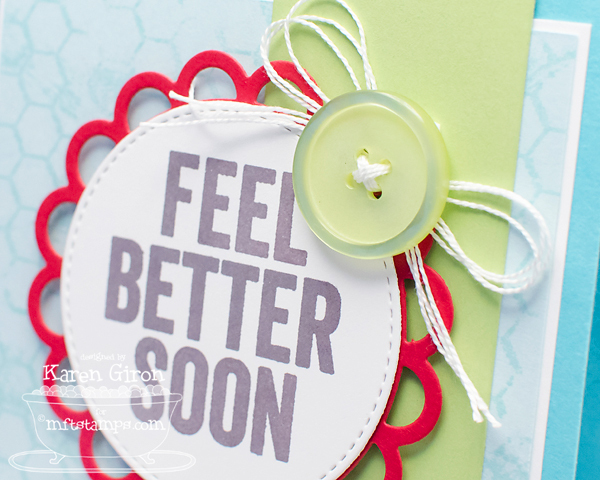 I love that Open Scalloped Doily die. Thanks for sharing. Great card. Just love the chicken wire distressed stamp. A fan favorite around our house. SEVEN Days Until the MFT January Release! 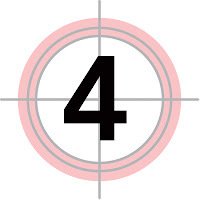 ONE Day Until the MFT December Release! TWO Days Until the December MFT Release! THREE Days Until the MFT December Release! FIVE Days Until the MFT December Release! SIX Days Until the MFT December Release! SEVEN Days Until the MFT December Release!